It’s been 171 days since the memorable night in New York in which the Kansas City Royals defeated the New York Mets in extra innings of game five, and bringing home the World Series crown for the first time in 30 years. Tonight, the Royals and Mets meet for the third time this season. The first meeting was opening week at Kauffman Stadium. This will be the first time the Royals take on the Mets this season at the scene of the World Series title. The Royals have two quick roadies at Citi Field before returning home for three games with Houston and two with St. Louis. Tickets are available at ticketsforless.com, but get them now before options become limited for the annual I-70 series. These two games against the Mets are nothing more than a gauge for the Royals. Coming off a 6-1 homestand, it’s important not to take a step back by losing two on the road. 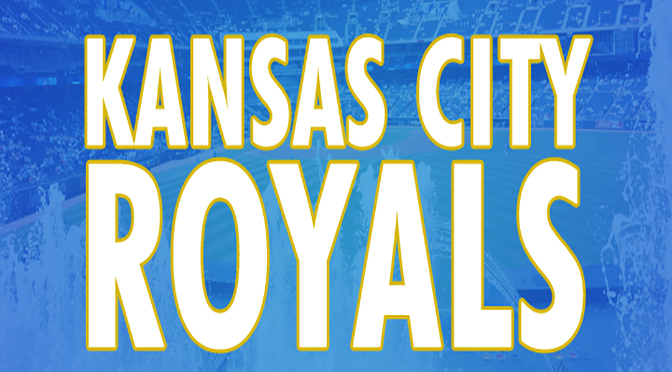 And the Royals have been awful away from the K, with a 13-23 record. 38-31 at this point in the season is certainly acceptable, it gives the Royals a chance at heading into the All-Star Break with a division lead, but the inconsistency is cause for concern. They won’t gain any ground stinking it up on the road, even as good as they are at home. It’s common sense, you play 81 at home, 81 on the road. Tonight the Royals send Ian Kennedy out to face off against Noah Syndergaard, who has been the ace for the 36-32 Mets this year. He’s 7-2, with a 1.91 ERA, and 106 strikeouts. He’s an All-Star, and if it weren’t for Clayton Kershaw’s insane numbers, you could put him in the conversation for being the National League’s starter in the mid-summer classic. Syndergaard shut the Royals out April 6 with a 6 IP, 3 hit, and 9 strikeout performance. Mets won that game 2-0. The Mets are struggling, however. They have lost 6 of 8 and are fresh off a three-game sweep to the league-worst Atlanta Braves. The Braves outscored the Mets 15-4 in three games. Offense has been a problem for the Mets this year. They are 28th in runs scored and 29th in hitting with a team batting average of .234. Many people in New York are predicting the free fall of the Mets, as things don’t seem to be looking up. They have also had the recent concerns of Terry Collin’s health. Collins was hospitalized in Milwaukee last week. Everything seems to be okay with the Mets manager following the scare. It’s the Royals on the road. Even with the Mets struggling lately, you just never know what you may get from the boys in blue away from home. We will find out tonight at 6:10, and then again tomorrow afternoon at 12:10. Tickets For Less is an Overland Park, Kans.-based ticket seller. We are one of the largest sellers in the country of Kansas City Royals, Kansas City Chiefs, Kansas Speedway and Sprint Center tickets. To order, call 913-685-3322 or visit our website. Subscribe to Tickets For Less emails! Kevin Kietzman is the award winning host of Between the Lines weekday afternoons on Sportradio 810 WHB in Kansas City. He is recognized by Sports Illustrated, Talkers Magazine, Radio Ink and Sportradio.com as one of the top sports talk hosts in the country. Kevin and his family reside in Lenexa, KS.